Nigeria Justice Walter Onnoghen. Picture: Twitter. Justice Walter Onnoghen is accused of failing to declare his assets before taking office in 2017. The planned arraignment and prosecution of Nigeria’s chief justice has been unable to go ahead because he did not show up for the court case against him, the BBC said on Monday. 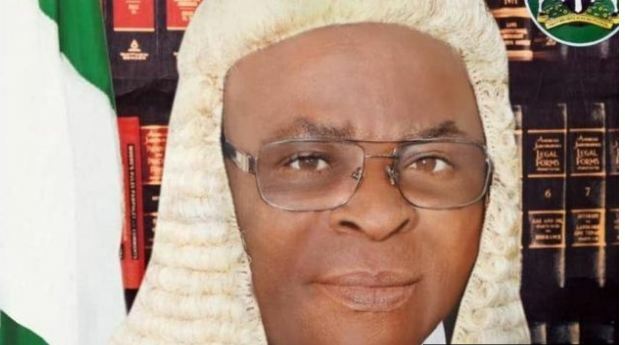 Despite a packed courtroom waiting to see Justice Walter Onnoghen attend his code of conduct tribunal, he failed to show up in court, the report said. However, Onnoghen said the problem was caused by an administrative error while his lawyers contested the powers of the tribunal to process the case, which they say had not followed due process in the charges that had been brought against the judge.